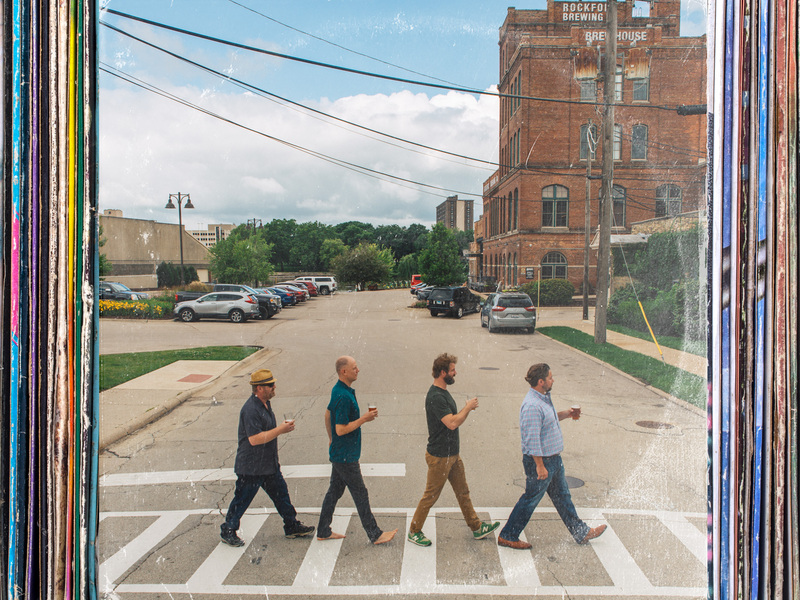 Prairie Street Brewing Co is a major fulcrum around which Rockford, Illinois’ downtown revival has flourished. The building’s and brewery’s owners have invested millions of dollars and many thousands of hours of sweat equity into returning the historic brewery Jonathan Peacock built in the mid-1800s to craft brewing glory. 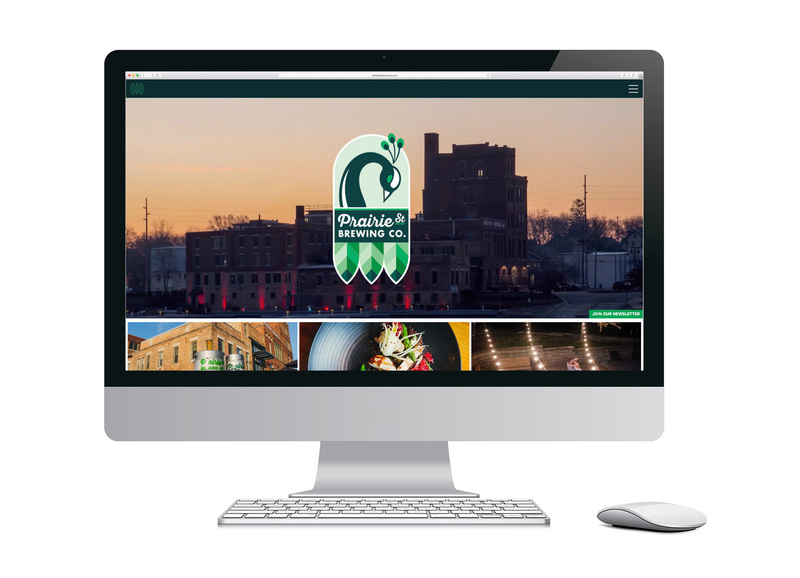 On the heels of having re-designed the Prairie Street Brewing Co brand identity, we set to work in 2018 to re-envision its key digital presence: its website. Beyond helping to expose the new brand identity to the world, we prioritized making a responsive, content and information-rich workhorse of a site that would function seamlessly while being updated daily by the client. It is an expertly crafted WordPress site featuring a custom CMS and fully customized templates. During the design phase, our goal was to create a responsive site with a mobile-first design ethos that recognized many users would be on-the-go and looking for critical information quickly. 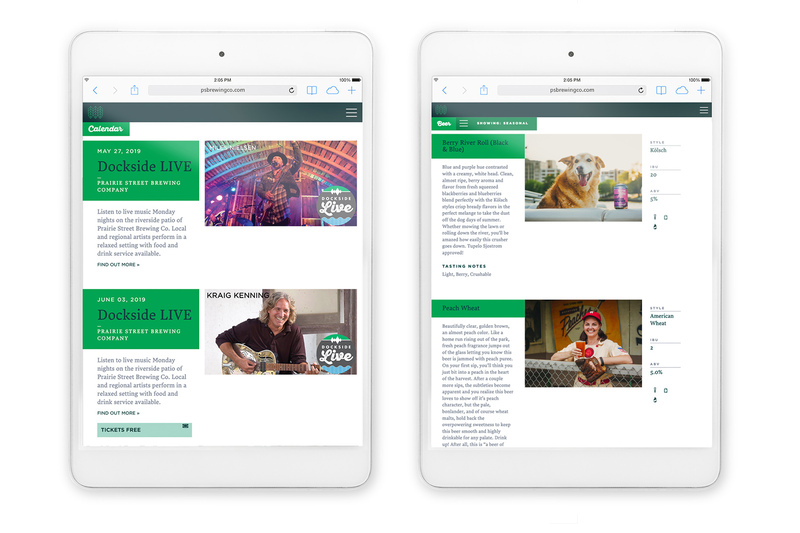 But we wanted desktop and tablet users to receive a video-enhanced experience. So, each landing page features carefully shot and edited video consistent with the brewery’s brand and sectional themes within the website’s architecture. An easy-to-use mega menu greets visitors on the home page with a single click that makes topic selection easy. Every landing page within the site can be seen on that full-screen menu takeover. The writing that enhances the visitor experience is meant to tell the brand story, give it a voice, and invite further exploration. The same is true of the photography throughout the site, which, like the video, was shot and edited in-house at GrahamSpencer. 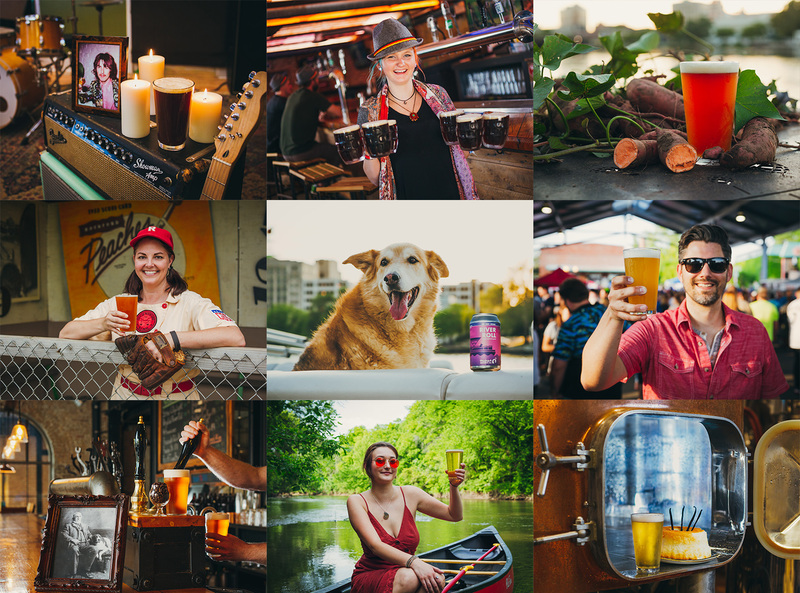 In the beer section, the photographs were designed and shot to enhance the brand story and help illustrate the value and values behind all of Prairie Street’s craft brews. From riverside paddlers to a tribute to a founder’s dog (R.I.P. Tupelo) we applied the same love of craft to these illustrative tasks as PSB’s brewers do when they brew beer to delight their customers. 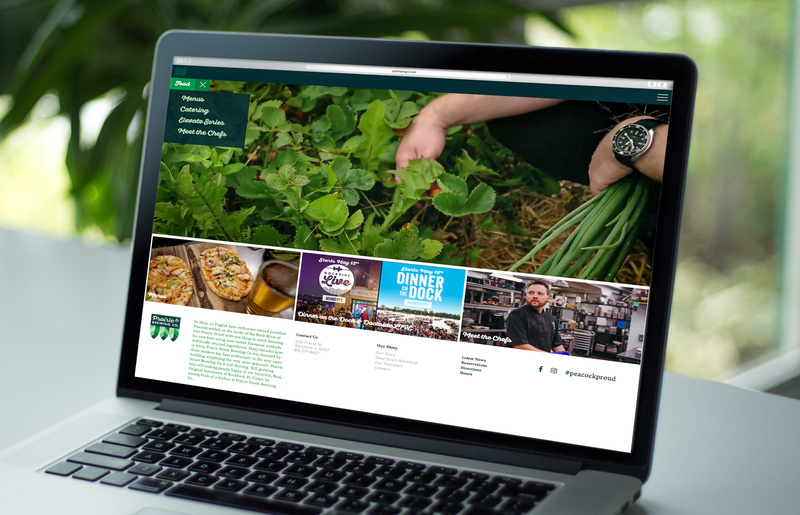 Prairie Street Brewing Co’s new website has been popular among the brewery’s customers and American Advertising Federation ADDY judges, alike. 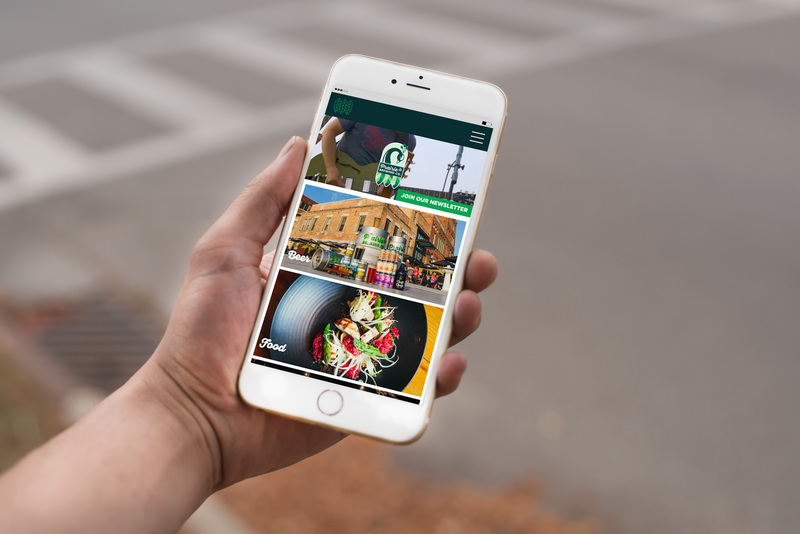 Judges admired the site’s dynamic style and functionality and awarded it a Silver Medal in the 2019 AAF regional ADDY competition.